Going to a party? Heading out for lunch? 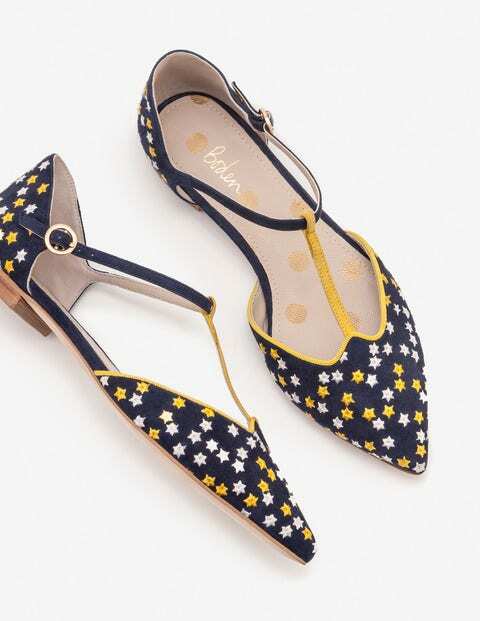 Wherever you go, our star-embroidered T-bar flats will make a statement. Crafted from soft suede, they have a flattering pointed toe and contrast piping along the front. They're lined with comfortable leather in our signature spotty print and finished off with round circle buckles for an extra dash of sparkle.